I have now for 1½ month been unable to cast a fly due to a bad shoulder. I tried a couple of weeks ago for a short while and had to pay badly for this. After 3 visits at various doctors and a MR-scan I now Turesday should be treated. 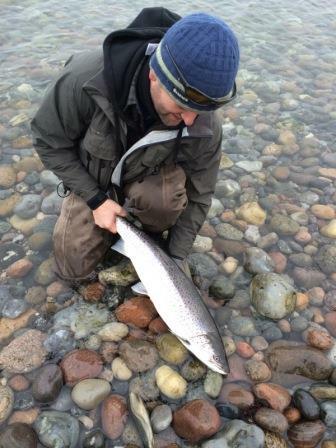 I hope that this treatment will help as we are now in the prime season for seatrout here in Denmark. 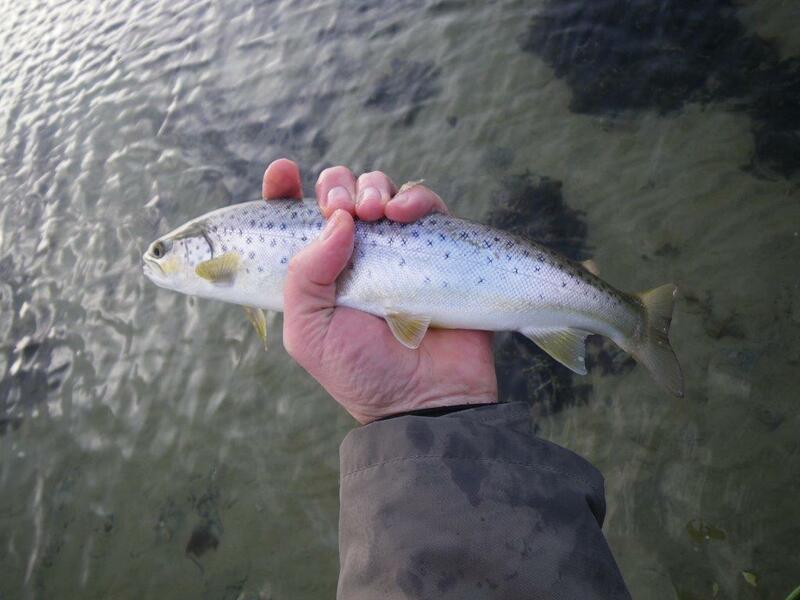 Below I will list some of the fish my fellow members of Bombayfly have caught the last couple of weeks. 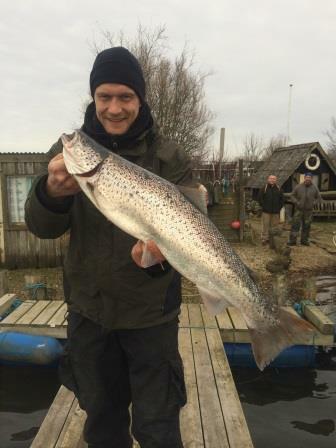 Simon known as “Goggen” got this nice 60 cm trout. 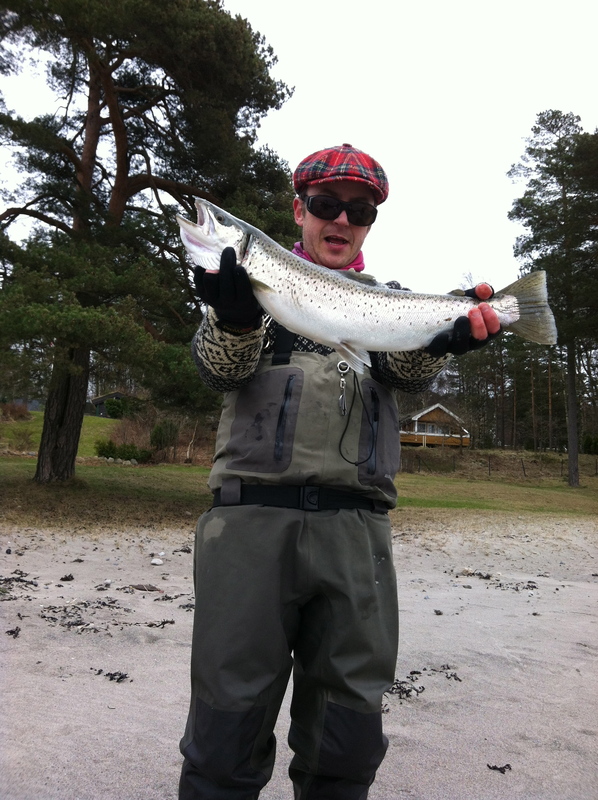 Henrik #the fishing machine” got this nice trout. 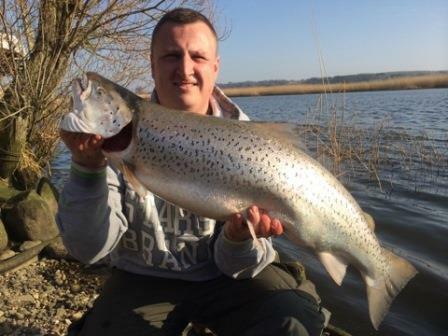 Rene “pot hair# got this amazing almost 19 pund sea trout in shallow Water in Randers Fjord. 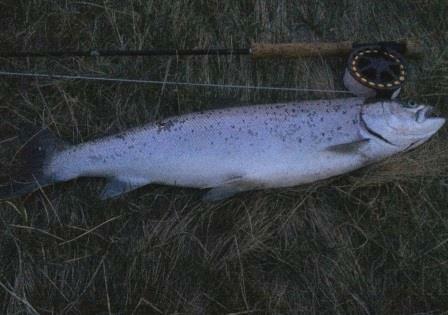 It was not a fly rod but a fantastic catch. Now you may see why I cry myself to sleep every night over my shoulder problem. For the first time in almost two months I hit the Water. January more or less was frozen and in early February I tore a muscle in the shoulder and that made it impossible to flyfish. Despite some pains I wanted to give it a go and went to the inner part of the Århus bay one afternoon with Henning. My shoulder did not Work properly and that worries me a lot now at the start of the season and with trips to Sweden and Cape Cod in the future. 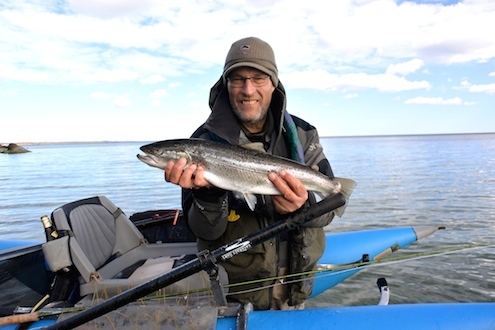 The first hour nothing happened but after a beer break when wading back into the Water I spotted a movement in one foot Deep Water and made a short cast not even with the shooting head outside the top guide and I hooked this nice but small trout. 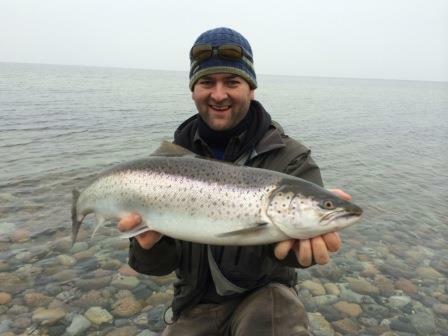 Henning casted immediately and also hooked a small trout. Actually he got 3 trouts but none big enough to keep. Soon after we stopped as a mist came and made us feel very cold. Nice to be at the Water Again, not nice to have shoulder problems and I continue where I stopped last year with fish on every trip but only small fish.